Very happy with experience. Airport immigration at Bangkok airport took almost three hours. I was scared I will miss the cab. But they actually have a meeting point where one lady has your name placard. When u reach there, she calls a taxi. So book tension free. Nice car given for airport(luggage) transfer. 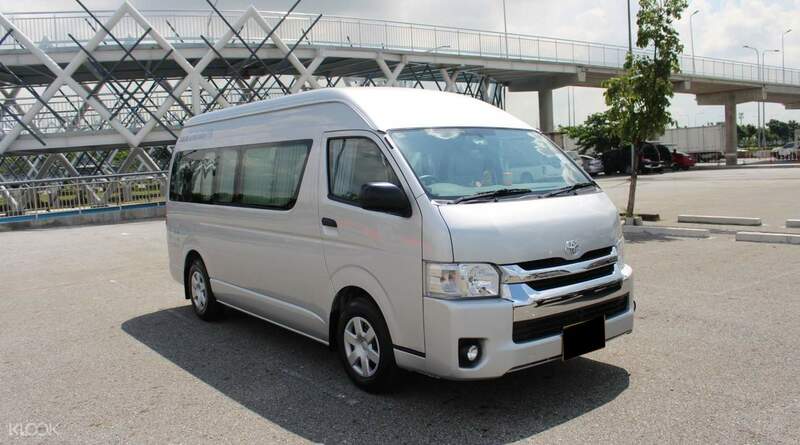 Make sure your visit to Thailand is hassle free by booking your Pattaya transfer in advance. 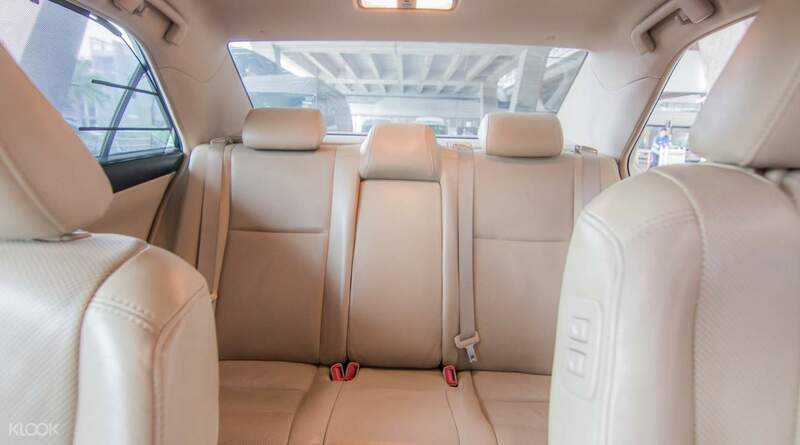 On arrival, you'll be able to relax and enjoy the comfort of a private vehicle with your own professional chauffeur who will pick you up from Bangkok Suvarnabhumi, Bangkok Don Muang or Pattaya U-Tapao Airport arrival hall, before whisking you off to your final destination in Pattaya. 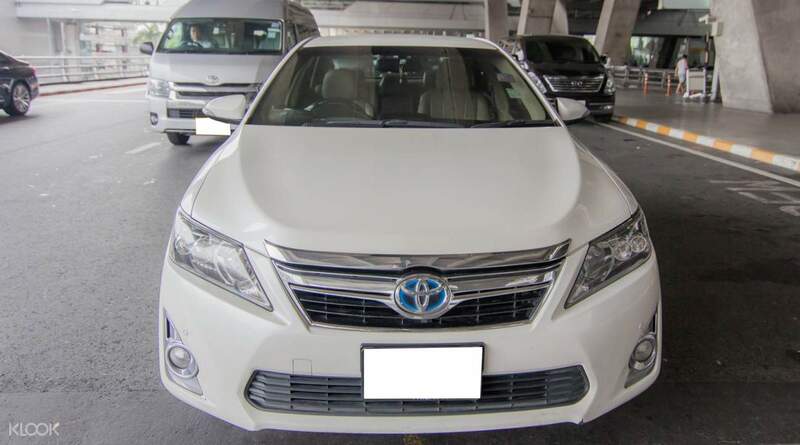 With a choice of spacious, air-conditioned Toyota vehicles on offer that can accommodate between 1 and 10 people, simply sit back and relax in the exclusivity of your comfortable private car. Easy, quick, convenient, good value for money. Ms Su is very nice. I will definitely choose the same service next time again. Easy, quick, convenient, good value for money. Ms Su is very nice. I will definitely choose the same service next time again. Driver was on time, dropped us off a little from our villa but was lovely and was very efficient. Would book again. Driver was on time, dropped us off a little from our villa but was lovely and was very efficient. Would book again. It was very easy locating the Klook staff at the airport from the clear instructions in the email. Journey to Pattaya was very smooth. It was very easy locating the Klook staff at the airport from the clear instructions in the email. Journey to Pattaya was very smooth. We were satisfied with the activity. The drives very safety from the airport to Pattaya. We think that it was so smooth. And the driver was so gentle, so we were relaxed along the transfer. We were satisfied with the activity. The drives very safety from the airport to Pattaya. We think that it was so smooth. And the driver was so gentle, so we were relaxed along the transfer. On time and nice driver. We will book this transfer again when visit Bangkok next time. On time and nice driver. We will book this transfer again when visit Bangkok next time. OVerall, it was not a bad experience. However, it could have been more clear about where to find the driver. At first, I thought the driver would wait for us outside the airport. I did not see any sign with my name. I had to ask one staff at the airport to find Klook area. It was just couple chairs occupied by Klook employees (as you can see from the photos). One of the employees told me to wait for 10 minutes since our driver was not there. The driver was nice but quiet. We did not talk too much. OVerall, it was not a bad experience. However, it could have been more clear about where to find the driver. At first, I thought the driver would wait for us outside the airport. I did not see any sign with my name. I had to ask one staff at the airport to find Klook area. It was just couple chairs occupied by Klook employees (as you can see from the photos). One of the employees told me to wait for 10 minutes since our driver was not there. The driver was nice but quiet. We did not talk too much. Very happy with experience. Airport immigration at Bangkok airport took almost three hours. I was scared I will miss the cab. But they actually have a meeting point where one lady has your name placard. When u reach there, she calls a taxi. So book tension free. Nice car given for airport(luggage) transfer. Very happy with experience. Airport immigration at Bangkok airport took almost three hours. I was scared I will miss the cab. But they actually have a meeting point where one lady has your name placard. When u reach there, she calls a taxi. So book tension free. Nice car given for airport(luggage) transfer. Flight was delayed and immigration took a very long time. I whatsapp-ed the company right away and got a response within 10minutes that they will wait for us which was a relieve. Driver was very nice, he knew where to go and the car was very comfortable. Very reliable. Thank you! Flight was delayed and immigration took a very long time. I whatsapp-ed the company right away and got a response within 10minutes that they will wait for us which was a relieve. Driver was very nice, he knew where to go and the car was very comfortable. Very reliable. Thank you! Impressed by quality of service, I landed late, and was a little worried about getting to my hotel. But Klook delivered, I got to my airport on time and was able to go out and enjoy my first night in Thailand. Very happy would recommend. Impressed by quality of service, I landed late, and was a little worried about getting to my hotel. But Klook delivered, I got to my airport on time and was able to go out and enjoy my first night in Thailand. Very happy would recommend. The driver is very punctual and careful driver. We asked for a carseat for baby and it is fulfilled. Overall good service. When you put in the arrival time, don’t need to take into account the time to collect luggage. Airport is small and you can exit on time, just put the arrival time of your flight. Need not worry about the delay. The driver is very punctual and careful driver. We asked for a carseat for baby and it is fulfilled. Overall good service. When you put in the arrival time, don’t need to take into account the time to collect luggage. Airport is small and you can exit on time, just put the arrival time of your flight. Need not worry about the delay.